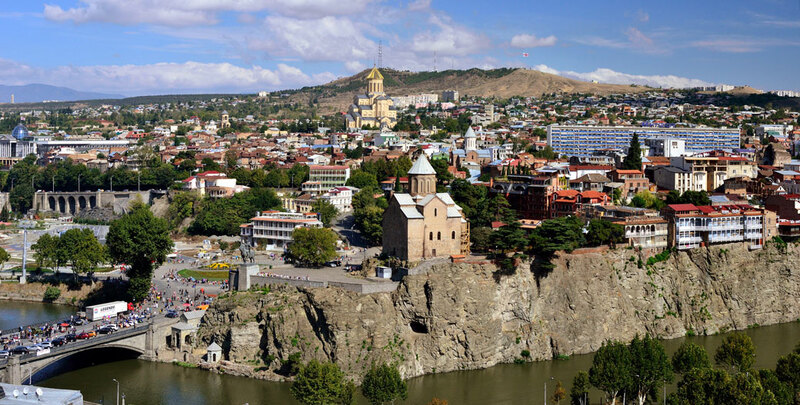 Tbilisi (Tpghis) is a name given in honor of the hot sulfur sources. The history of Tbilisi, as the capital of Georgia, starts from the 5th century. In its 1500-year history, Tbilisi was an important cultural, political and economic center in the Caucasus. Tbilisi is known for its old and new attractions: Narikala Fortress, Mtskheta, sulfur baths, glass bridge, botanical garden, museums and much more. Armenians had a big contribution to the development of Tbilisi. Many Armenian writers, publicists, politicians and cultural figures gathered here. For a long time there in troubadour Sayat Nova. At present, there are many Armenian churches, streets and squares named after famous Armenians.